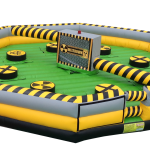 Inflatable Waterslides, Dry Slides, Moonwalks, Bounce Houses and Obstacle Courses! 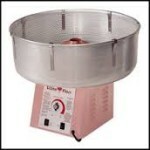 We have several Party Rentals to choose from. Choose the type of Party Rental you’re looking for below. This is a pastime that all need to enjoy at one time or another. Dunk your boss or your spouse! Whomever you please! 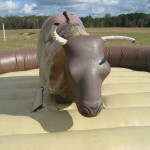 No Matter the age, The bull is fun for all! With our Galaxy bull you can guarantee a safe and fun rental! 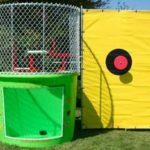 Coolest and most unique party rental that all ages can play on and have an absolute blast! 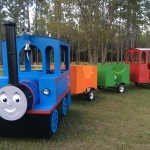 The Trackless train is a great way to set your party apart and entertain larger groups of kids. 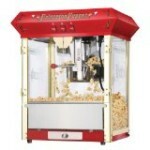 Popping popcorn at your event is a great pastime favorite that everyone will enjoy. Cotton Candy is loved by every one of all ages. 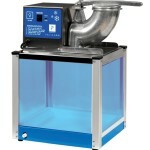 You can whip up a lot of cotton candy for a crowd of any size. The snow cone machine is perfect for the summertime weather we have in south Georgia. 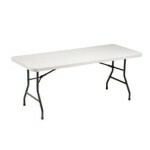 Much needed accessories to make your party comfortable and enjoyable for all your guests.